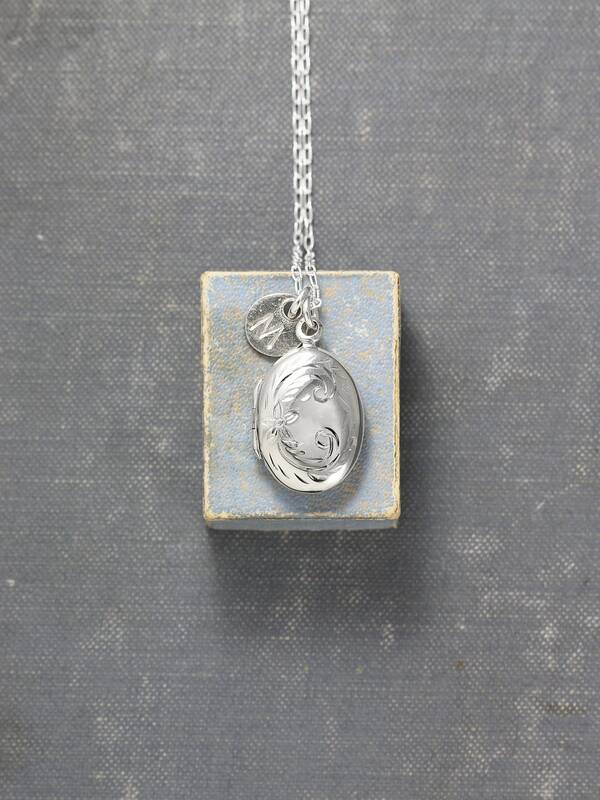 A small oval sterling silver locket is engraved with a whimsical flower design on the front and remains plain on the back. 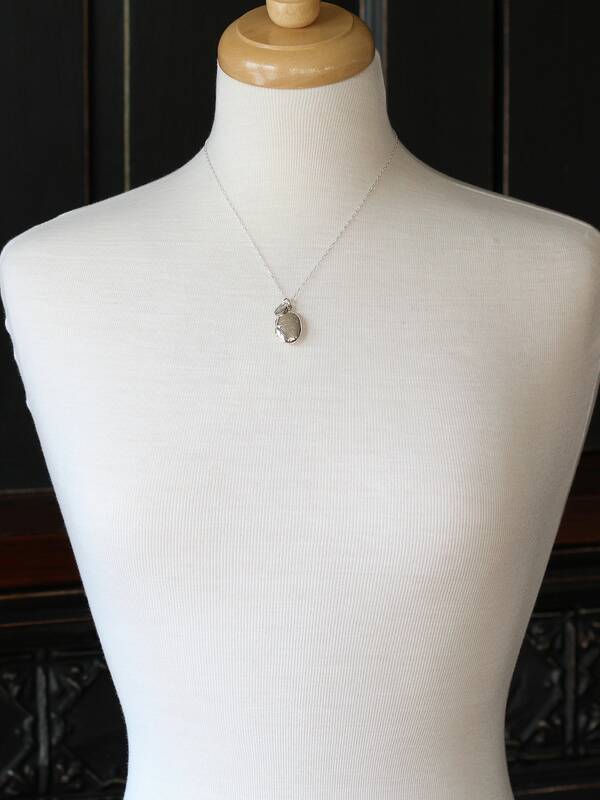 The sterling silver pendant is paired with a custom initial charm ready to be hand stamped with your choice of initial or design. 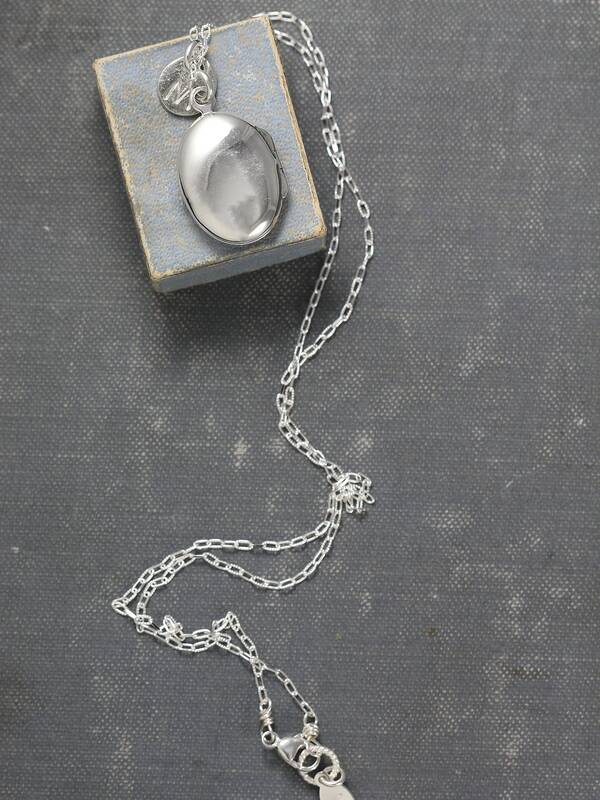 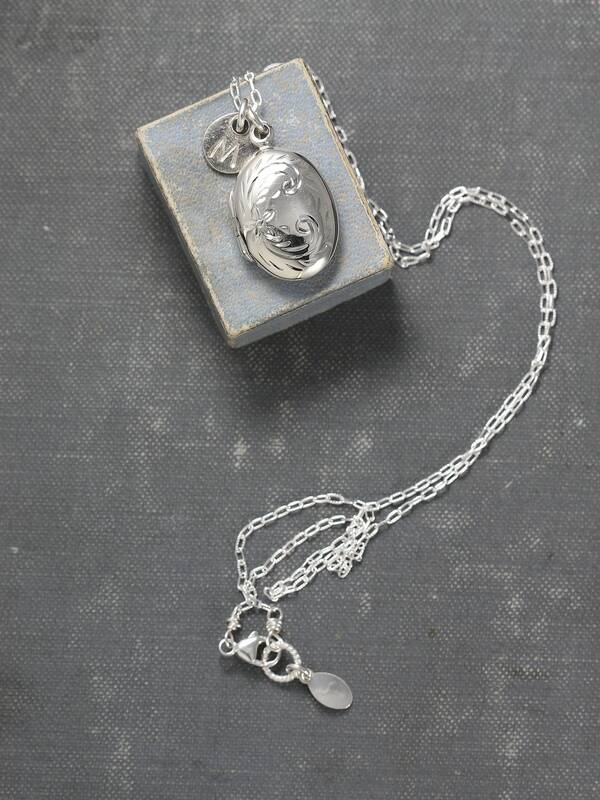 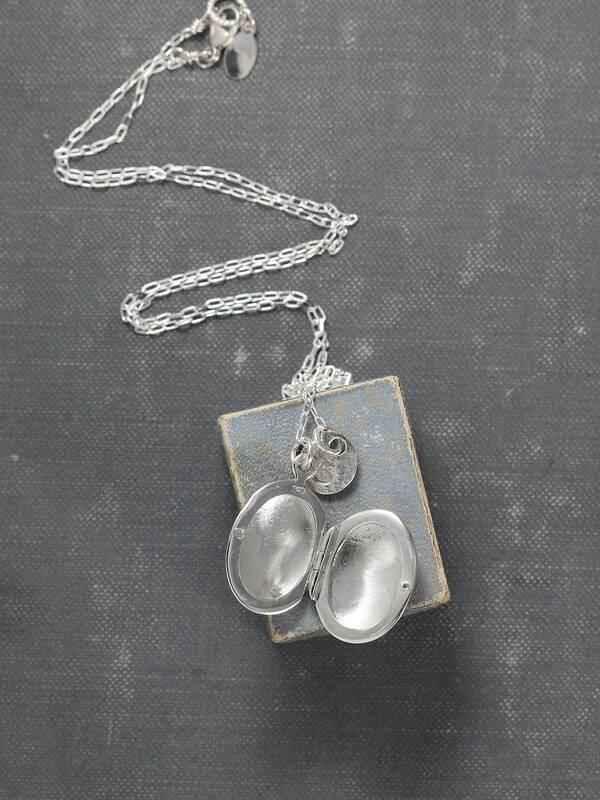 The two pendants dangle from a new chain of sterling silver hand finished with a trigger clasp and ring.